..."With brilliant dialogue, a storyline that will leave you breathless, and two people who have much more in common than they know, MOONLIGHT AND ILLUSIONS will make you swoon with every glance." The spectators were faceless figures, barely visible to the magician. But he felt them pulsing with life. They were like a singular, massive organism reacting as one. Four blue and white teacups already sat upside down on the table. Stephen lifted each cup one by one to reveal nothing hiding underneath. With fluid and dramatic movements he showed the audience a white ball. Placing it under the cup farthest to his left, he repeated the action for the remaining three. He slid the cups all around the table, mixing them up, then lined them up in a row again, and stopped. Pulling his wand out of his cape, he gave each overturned cup a tap. He lifted the first cup…nothing under it…no ball. Then he lifted the second cup. Nothing. The third cup, also nothing under it. But when he lifted the last cup, all four balls came rolling out, scattering onto the floor. After a moment, Stephen held up a hand for quiet. He suddenly gave a lurch, as if he were gagging, putting a hand to his mouth. Out came one white ball, then another, and another, until the balls were falling from his mouth like rain. The people cheered. He bowed, smiling at their enthusiasm. For the next ninety minutes, the tricks he performed became increasingly sophisticated. Sometimes Ruby assisted, and other times he did them alone. A Mexican guitar player stepped out from stage right, positioned himself on a stool in front of the closed curtain, and settled down to strum a melody. The music emerged sweet, poignant, and low, a kind of magic in itself. Energy surged through the magician. By the end of a performance he needed something new, something able to astound his audience and leave them talking to each other. With luck his reputation would precede him into his own country and he could continue this business he loved. Ruby came up beside him, walking quietly through the dimness. Her presence beside him was comforting, steadying. Taking Ruby’s hand, he rubbed his thumb over her knuckles. “One last trick then homeward bound. The coach will be waiting in the morning to head north.” He leaned over and gave her a brief kiss, full on her lush lips. She tasted of tea and honey. “Now, Señor?” The stagehand came up on his right. “Now,” he agreed and turned to pick up a twelve-inch square box, covered with a blue velvet cloth. Pulleys squeaked and ropes creaked as the curtain slowly opened on the set he had specially constructed for the governor’s show. In the center of the stage was a small drapery-lined square alcove enclosed on three sides, its outlines slightly blurred by the dim light and smoky air. As Stephen carried the box forward, keeping his gait smooth and his gaze on the audience, the guitar player switched to a series of chords sending a chill up the magician’s spine. He placed the covered box on the round top of a small, three-legged table. With a flourish, he pulled off the velvet cloth to reveal a beautiful, sculpted maple box. Turning a small brass knob, he then opened the hinged door in the front. The crowd grew quiet at the sight before them as the music faded away. Inside the box was a man’s head. The eyes were closed. On its head was a white turban. Moving to the side of the alcove, Stephen raised his hand palm up, extending his fingers toward the box. “Open your eyes, Omega!” His voice bounced off the ceiling with a strange echoing quality in the momentary hush preceding the collective gasp. Omega’s dark eyes opened. The head moved back and forth. “Give the wonderful people of Mexico City a smile please,” Stephen requested. Obediently the corners of its mouth lifted and the head nodded. A ripple of incredulity ran through the crowd. The disembodied head repeated the magician’s recitation of the first paragraph of the U.S. Declaration of Independence with little inflection in its voice. When the last syllable drifted away, Stephen waited. He couldn’t see his audience, so there was little he could do to detect their feelings. Did they like the new trick? His heart pounded as the silence stretched. 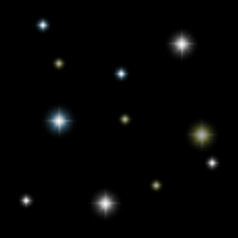 Omega had finished and closed its eyes again. Still the silence reigned as if the people were gone. Then two people clapped hesitantly. “Thank you, Omega!” Stephen bowed toward the box. Stepping forward, he closed the door, tapped three times on the top then opened the door again. In place of the turbaned head was a visible pile of ashes. Gasps of surprise and muttered words in their native tongue met his ears, pleasing him. “Thank you for your attention, señors and señoritas. This concludes tonight’s show. We hope you have enjoyed our presentation of magic and mystery. Have a safe journey home…to your hacienda.” This time he gave a full bow to the audience, allowing his cape to billow out dramatically. As he straightened, a commotion broke out to his right. Someone…no several people thundered up the wooden steps leading to the stage. Stephen turned to greet them with a smile. Anyone joining him on stage was highly unusual, but he kept calm. Two members of the Mexican army in full uniform with guns drawn ran up and grabbed each of his arms in vise-like grips before he could move. “Señor Stephen Elliott,” the Governor of Mexico City, his honored guest, stood in front of a stunned Stephen. “You are under arrest! Usted está banjo detención! “On what charge, sir?” His brother, Michael, shouted from the floor, while confusion and shock tied his own tongue. An angry string of indecipherable Spanish was spit into Stephen’s face before the governor turned to face the crowd. Diane Wylie has written another winner. From the first page Moonlight & Illusions held me riveted. I simply could not put the book down until I had devoured every word. I literally had to force myself to stop reading long enough to take a shower! Although I wasn't sure where this story was going to take me, I had no idea the trip would be so fraught with danger, adventure, and passion. Ms. Wylie's characters are not only believable, but so real you soon find yourself completely wrapped up in their lives, rooting for them throughout the book. Ms. Wylie has obviously done her research into Mayan myths and legends. She takes a small stone and turns it into a magical object that holds secrets no one can quite figure out. Not only has she brought rich details to this story that will make you hold your breath as you wait to find out what will happen next, she puts the reader right into the surroundings with the colorful descriptions of the people and places. With brilliant dialogue, a storyline that will leave you breathless, and two people who have much more in common than they know, will make you swoon with every glance. This is a definite must read and will go on the keeper shelf to be read again and again. 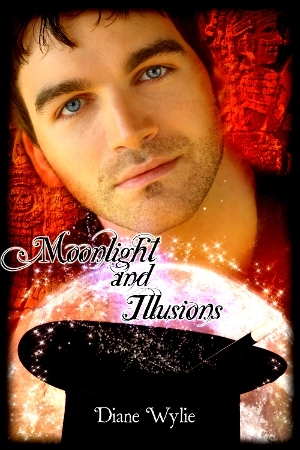 Diane Wylie is one of the finest writer's I've ever read and you will not want to miss Moonlight & Illusions. I found this book to be very enjoyable. I enjoyed reading about the Mayans and magic. I enjoyed the relationship between Stephen and Anabel. I highly recommend this book to anyone who enjoys a good romance and mystery. The author did not leave you wanting.